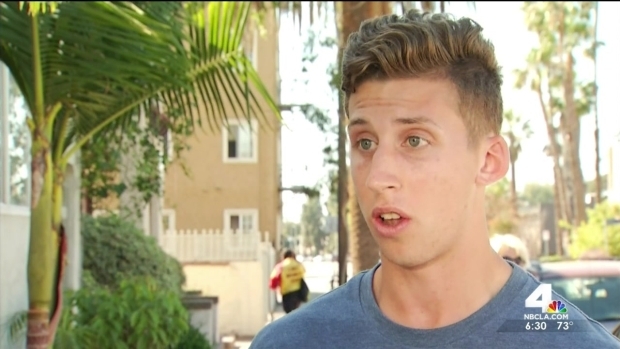 A $100,000 reward was being offered for the safe return of a UC Berkeley student who went missing after leaving a party near the University of Southern California campus early Saturday morning, family members said. Eloi Vasquez, a 19-year-old freshman who plays on the school's soccer team, walked out of a fraternity house in the 600 block of West 28th Street about 1:30 a.m. with only his cellphone in hand. His friends tried to get him to come back to the party, but he told them over the phone he "was going to the beach." Vasquez then called a friend, Aurora Cardena, in Northern California at 2:18 a.m. and told her he was "screwed" and got lost, his mother Wendy Margolin said. 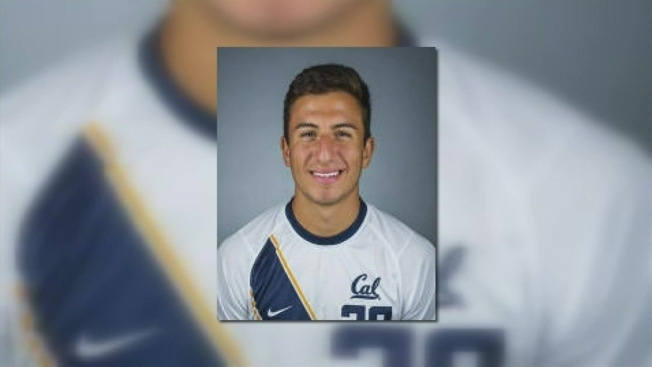 Family members are asking for the public’s help in finding a UC Berkeley athlete who went missing after attending a party near the USC campus. Kate Larsen reports for the NBC4 News at 6 p.m. on Sunday, March 29, 2015. "He pretty much said, 'I need you to come over here, I need help.' I asked him 'Where are you?' and he told me that he was in LA and that he didn’t know where he was at and that he was lost," Aurora Cardenas told NBC Bay Area. "The second time he called it just clicked. I didn’t know if his phone died, or if he hung up." When Vasquez left the party he didn't have his wallet, money or ID with him. The phone he used to call his friend has since died. "Everyone knows how responsible he is, how dedicated to school he is and he hasn't contacted anyone since," Margolin said. "Something is going on with him." Vasquez's parents drove to LA from Northern California on Saturday hoping to find their son. The home where Vasquez was last seen has since been littered with fliers by friends also in hopes of his return. A $50,000 reward was offered for Vasquez's safe return Sunday. The amount was doubled Monday. "All his friends are out scouring for him... looking around for him," Margolin said. They've gone to lifeguard towers in the Santa Monica and Venice area, hoping someone has seen him. His mother planned to visit candy and doughnut shops that stayed open late night near where the party was. Vasquez's friends said they had been drinking at the party on spring break. "It's definitely unlike him and we're very concerned," said Vasquez's friend, Marko Helfrich. Vasquez is described as 6 feet tall, weighing about 175 pounds with black hair and brown eyes. He was last seen wearing a baseball T-shirt with red sleeves, gray pants and white tennis shoes. "Eloi is a wonderful young man who has excelled both academically and athletically here at Cal. Our entire Cal Athletics family is very concerned for Eloi’s safety and our first priority is to help in any way we can to locate him," the Berkeley athletics department said in a statement. Police are asking anyone with information to call 213-486-8582.